ACPEnw does not have or use any lead retrieval system, software or licensing. We do print a QR code on each badge. It is up to you to capture that info from the badge and get it into yours or any other system. If you subscribe to some software database that integrates captured barcode data from a conference, you should ask them to help you figure out how to get a scanned QR code form a mobile device, like a phone, or a scanner you own into their system. 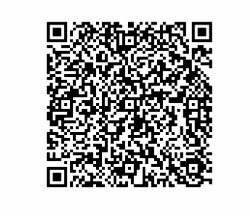 We know any QR code reader will capture all vCard data we provide. Our data includes name title, organization, address, phone, and email. A free app called, QR Code Reader in the Apple App Store (https://itunes.apple.com/us/app/qr-code-reader-barcode-reader/id1224870903?mt=8) works great for data gathering purposes at the conference at no cost. On Android, the app by Gamma Play called QR and Barcode Scanner does the trick. Just search Gamma Play in Google Play which is also a free App. There are many good apps that do the job, just depends on what you will need. Here’s an example QR Code, if you need to test one.